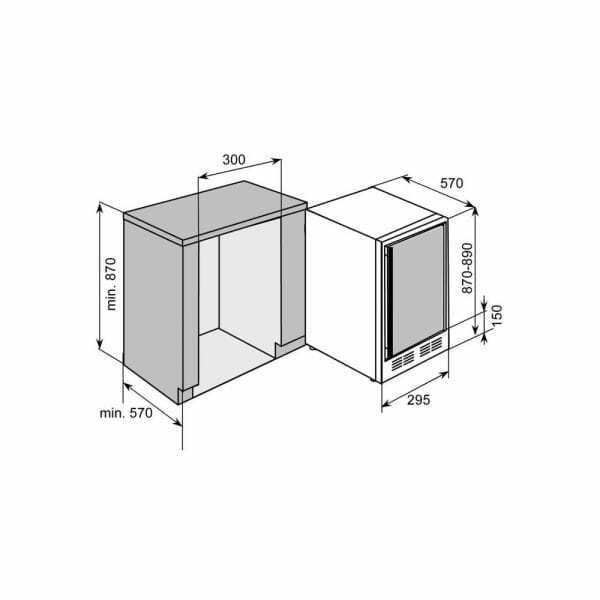 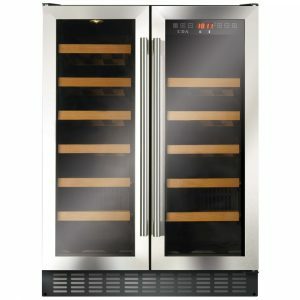 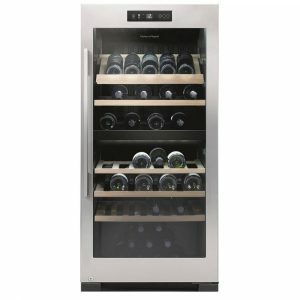 This stylish freestanding under counter wine cooler from Hoover will enhance any kitchen design. 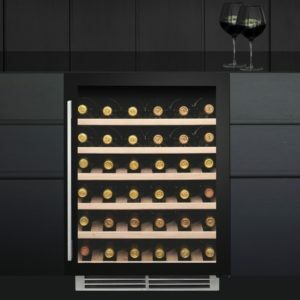 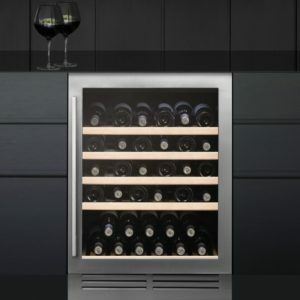 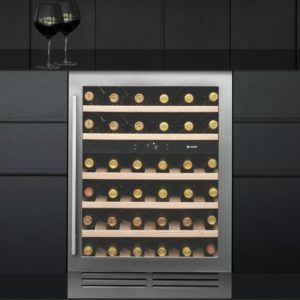 Finished in sleek black with smoked glass and a stainless steel handle, this wine cooler is a must for anyone who likes a glass of wine… or two! The single temperature zone will keep up to 19 bottles chilled and ready. 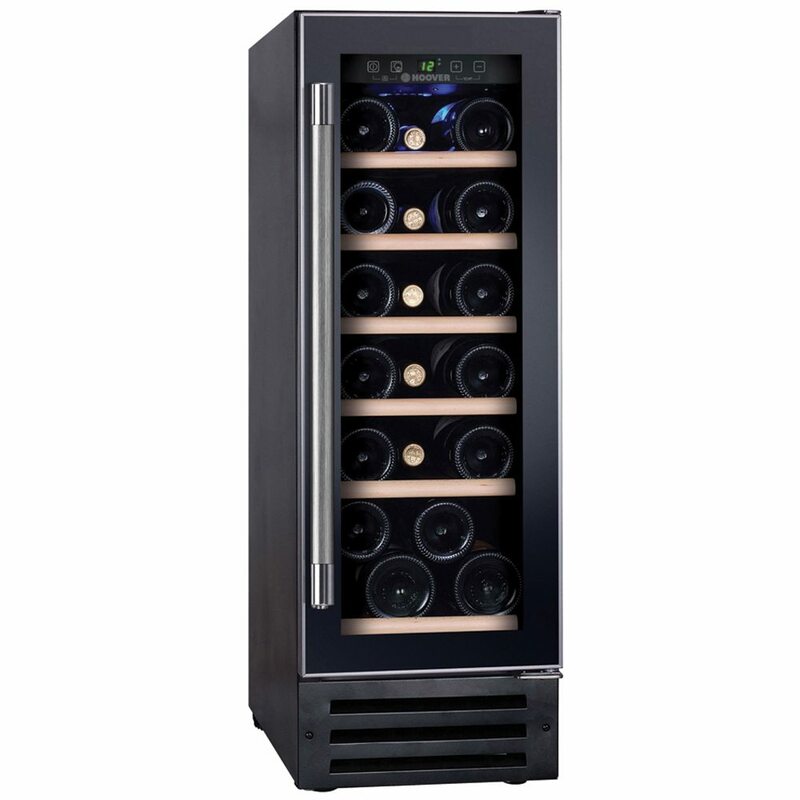 It features an electronic temperature control and a temperature memory function with a red digital display. 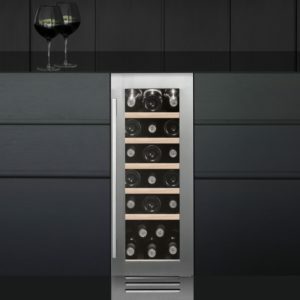 It has ambient LED lighting and an B energy rating, so with the money you save you can stock it with your favourite wine!